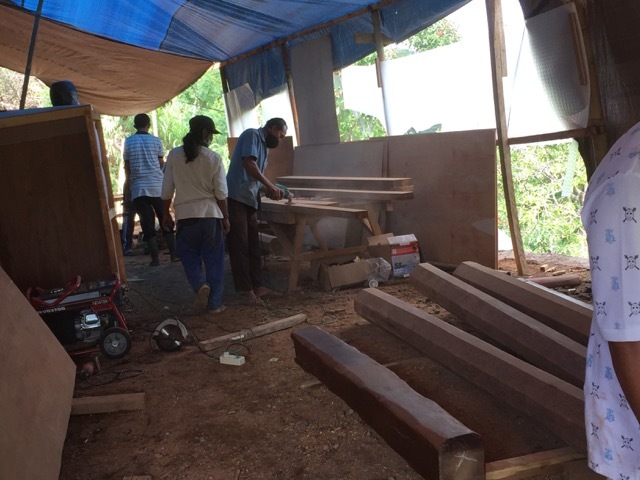 Here is our wood working shed at Awam Damai, the Earthship inspired build. 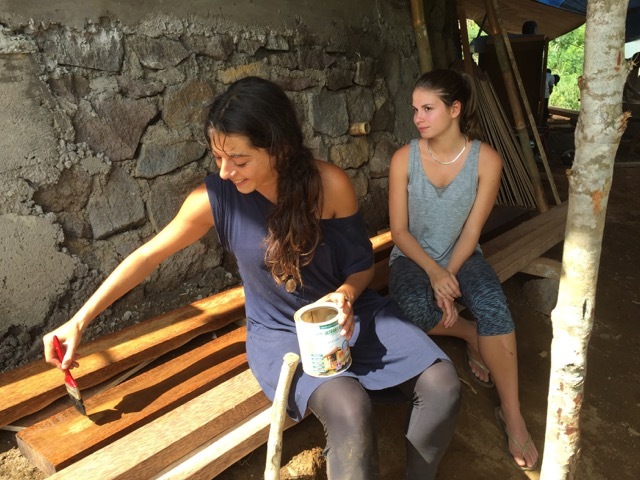 Diana form Mauritius and Sophie from the Netherlands have put up their tent and are now giving the first varnish to the already cut wood, to be used in the building. 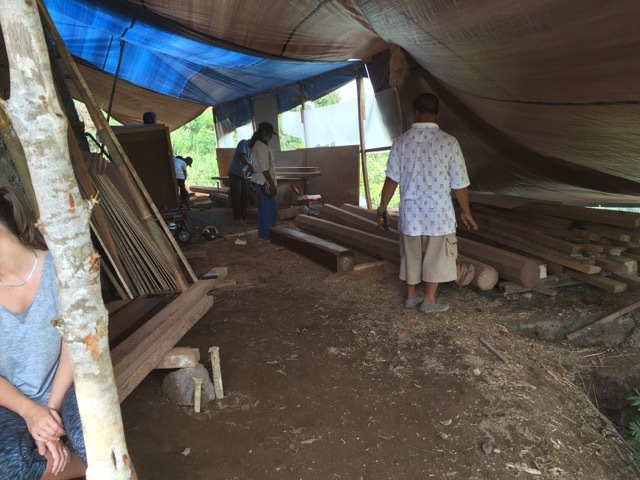 In the background are our three carpenters, Ignacio form Chile and two local helpers, polishing away on the wood. Lebong our local architect is admiring the whole procedure.